For the last years there were several attempts to change the whole system of the capital markets in Georgia. On 22 September of 2014 Government of Georgia has adopted an order N 1-1/264 about establishment of the working group of the capital markets. On April of 2016 the group of development of the capital markets has worked out the strategy document of the capital markets. Besides, the 15th appendix of EU-Georgia Association Agreement requires leading the fundamental changes of the acting legislative regulation of Georgian capital markets. One of the priorities of the strategy of Georgian Socio-Economic Development “Georgia 2020” is the radical development of Georgian legislation regarding to the capital markets and also the development of the infrastructure and the instruments of this system. In spite of the mentioned obligations, this system is stagnated and frozen. The presented article is focused on the fundamental aspects of the issues which improves the legal base of Georgian capital markets system. According to the official data of National Statistics Office of Georgia there is registered 2386 Joint Stock Companies, where the amount of active companies is 846*. According to the official data of Georgian Stock Exchange, only 114 companies trade its securities on the stock exchange market**, which is only 14% of the active JSC’s in Georgia. 14% is quiet law index from the whole registered amount of JSC’s. Furthermore nowadays, in comparison with the size of Georgian economy an amount of the stock bargains has fallen down. It seems that Companies don’t have a stimulus to become the public enterprise because of the unequal dispersion of Georgian financial market. Last year Parliament of Georgia adopted legislative amendment in the Law on Entrepreneurs’. The feature of this novelty is the obligation for the public enterprise to appoint minimum one independent member of the supervisory board. This change undoubtedly is positive in many aspects. On the one hand it legislatively supports the better system of corporate governance and on the other hand it theoretically gives a motivation of developing capital markets. Moreover, this change obliges public companies to establish the better corporate governance system. In spite of this legal amendment, unfortunately Georgian companies don’t have a stimulus to become public enterprises. In Georgian sizes developed system of the corporate governance will be a legislative fiction if the companies don’t have a motivation to become open enterprises. This is caused of the undeveloped system of Georgian capital markets. 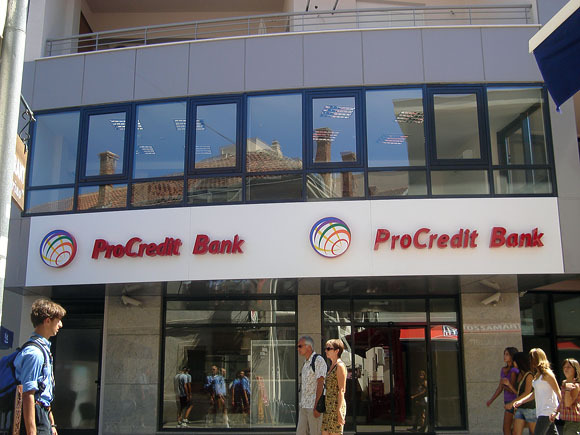 Nowadays the sector of commercial banks holds the huge amount of the financial sector in Georgia. Moreover, commercial banks has the right to own the brokerage companies, securities’ register and be the one of the issuer of the securities in the domestic stock exchange. Also, by the third entity, commercial bank has the right to own the shares of the stock exchange and also appoint its representatives in the supervisory board and the board of directors of the local stock exchange. Capital market products are not put on equal footing with other financial products and government securities. There is no level playing field between corporate debt instruments on one hand and government bonds or bank deposits on the other from***. Financial Institutions authorized to conduct activities on the local market without additional authorizations on Georgian territory. Notion of related party introduced. Definition of control introduced. Investment funds, central depositary and banks dealing in state securities excluded from definition of a brokerage company****. Banks allowed participating as intermediaries on the market directly*****. Because bank deposit market as well as primary and secondary market for government securities shows positive trend in growth, it is important to understand how the legal environment which is supportive of these two types of financial instruments can be replicated for the typical capital markets products such as corporate debt and equity instruments. Comparing tax treatment of these instruments should be a useful exercise******. 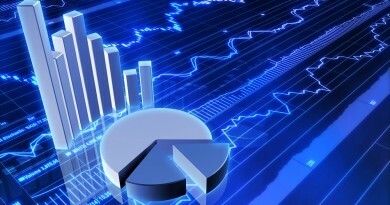 A huge amount of the placed public shares on the Georgian stock exchange market is the bank’s shares and also the shares of the subsidiary companies and affiliated companies of the commercial banks. Mentioned facts reduce an independent identification of stock exchange, brokerage companies, share’s depositary and shares’ registry. If the commercial banks have the right to directly and indirectly influence of the stock exchange, brokerage and shares’ registry activity, the liquidity of the stock exchange will also be quite law and the capital markets as an independent financial industry will be undeveloped. One of the important problems is undefined state regulatory authority of the capital markets’ system. Firstly the financial monitoring agency was the regulatory authority of capital markets. Then the legislative amendments submitted the capital markets’ actors to the National Bank of Georgia (NBG). After this process by the following legislative changes an independent commission of the shares’ market was created, but really this commission didn’t operated. Finally, for today the regulatory authority of the securities’ market became NBG again. These frequent legislative changes make the distrust for the acting and potential investors. Also the political reasons of these changes only spoil the free trading environment and it in its turn negatively reflects on the whole capital markets’ system. Besides, conversely of the commercial banks and the microfinance organizations, the capital markets’ actors as an independent financial institutions has its own specification and their subordination to the NBG will not play a positive role for the development of capital markets. One of the important issues of the free and sophisticated capital markets is the transparency of the dealings. The principle of the completed supply-and-demand bargaining is focused on the open and announced sessions of the stock market. The system which allows the market traders to bargain in the shadow is not oriented to the protection as acting and also potential portfolio investors, which evokes a high portion of distrust. Besides the trust, such environment disregards one of the main meanings of the stock exchange activity – an equal opportunity for trading. Considering all mentioned negative aspects of the hidden trading out of the open sessions should be changed by legislation. Namely, off-exchange trading should be forbidden and the state power based on the given license should have the right to control the types of the trading and has the right to penalty the stock exchange. Also the stock exchange should have the mechanisms in order to adequately control securities’ issuers trading methods. Insider trading is one of the main negative effects for all systems of capital market. No one is insured to avoid the risks which may be reflected for such trading. In any case the legal base should establish the maximum guarantees for all actors of the trading to avoid this negative aspect. It is essential to: better identify the insider traders and adequately penal the law breaker, to control private brokerage companies (especially the commercial bank’s subordinated brokerage entities) for avoiding an unequal trading of bank shares, reform the institute of the shares’ registration in order to avoid the risks of the unequal dealings, authorize the stock exchange with more power to better control the system for revealing and controlling the insider trading. After these steps the supervisory state body should elaborate adequate sub normative acts to execute these amendments. Also, this system makes the ground to develop the court practice about the insider trade and the market participants will be more mobilized. Such system will increase an investors’ confidence and in its turn it positively reflects to the free stock market trading process. Better system of portfolio investment will positively reflect to the foreign direct investment. Free market concept will give a high stimulus to the JSC to trade by their shares and also to the LLC’s to transform LLC to the open JSC and also to trade by the corporate obligations. The level of investor’s trust is the decisive factor of the successful trading, but, for my point of view mentioned problems are the main blocking factors for investor’s confidence. In case of the reformation of capital markets’ system with the accent of the establishment of the equal opportunities for all financial institutes and also creating the better legal mechanisms for trading, Georgian companies will be able to start competitive market trading, which in the long term perspective will enhance as Georgian economic parameters and also will rise country’s different international ratings.